If you are looking for a water trailer for sale, we have what you are looking for. 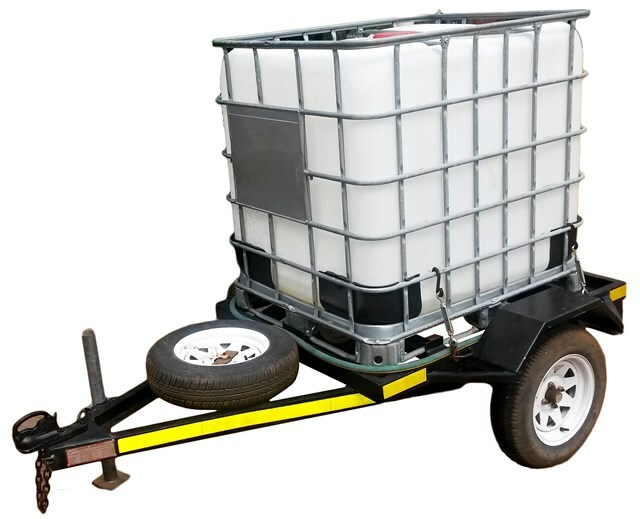 The 1000 litre water tank is mounted on a single axle road trailer with a 750kg loading for off-road application only. The trailer is roadworthy, but must be towed empty to site. The water trailer is suitable to be used on building sites and industrial usage where clean water is not necessary. The water tank cannot be used to transport drinking water. Quality workmanship is guaranteed as Trail Acc Trailer Manufacturers & Sales build these water trailers which comply with both SABS specifications and the standards of the National Road Traffic Act. Tow vehicle specifications: Cars, bakkies or 4x4’s with a minimum engine size of 2.0ℓ or larger engine capacity. To own your own water trailer, contact us today for best prices. Our well trained sales staff will assist you.